A long-awaited end to five decades of hemp prohibition has been approved by a House-Senate panel, potentially opening the door to hemp production in all 50 states for any use – including CBD. 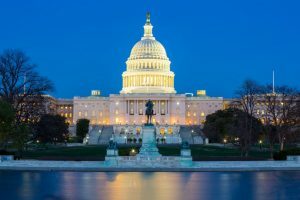 The measure is included in the 2018 Farm Bill, which passed the Senate 87-13 on Tuesday and still must pass the House before work is concluded for the year and all pending legislation dies. BREAKING: Senate approves 2018 Farm Bill compromise 87-13, sending measure to House for one more vote. Then to President Donald Trump. #hemp industry anxiously awaiting final approval. Senators signed off on the updated Farm Bill measure Tuesday afternoon, calling it a good compromise. “This may not be the best possible bill. But it is the best bill possible,” said Sen. Pat Roberts, a Kansas Republican. The Farm Bill must still make its way through the House and to President Donald Trump’s desk before Jan, 3, when a new Congress takes over. Kristen Nichols can be reached at [email protected]. State laws forbiding hemp cultivation still apply. Coverage of this has been misleading in that respect. What a great news for the entire world. From medicine, to industry, food, CBD and a ton of things we have yet to discover from the Hemp plant, and that will bring plenty of good things. The swiftness of this approval is a sign of things to come with the cannabis plant.